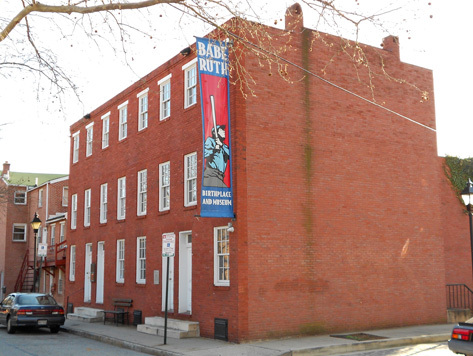 Honor the Great Bambino with a visit to the Babe Ruth Birthplace Museum. The Museum serves as a national shrine dedicated to the greatest baseball player ever, George Herman “Babe” Ruth, featuring artifacts and collectibles from his childhood and career. Many popular Baltimore attractions are within walking distance from the Museum, including M&T Bank Stadium, Hippodrome Theatre, Maryland Science Center, and Baltimore’s Inner Harbor. Or just follow the 60 baseballs painted on the sidewalk from the Museum to the Babe Ruth statue located outside of Oriole Park at Camden Yards.